MERCO Credit Union members have access to over 30,000 fee-free CO-OP ATMs nationwide, including 7-Eleven, Costco and most Credit Union ATMs. That’s more ATMs than most of the biggest banks. And this network is owned by credit unions. 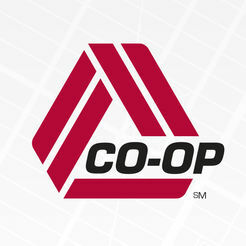 To find an ATM near you, use the CO-OP ATM Locator. ATMs will display at a glance when you enter your current or desired location. You can choose to search for surcharge-free ATMs, deposit-taking ATMs or both. Just enter your search criteria and the ATM Locator will do the rest, including providing you with driving directions, a map and the option to send the location to your mobile phone. You can now also access to 55,000 Allpoint ATMs worldwide. Allpoint ATMs are located in Walgreens, CVS, Costco, Target, circle K, Safeway, Chevron and many other places. One out of every 12 ATMs in the U.S. is part of the Allpoint Network. To find an ATM near you, use the Allpoint ATM Locator.